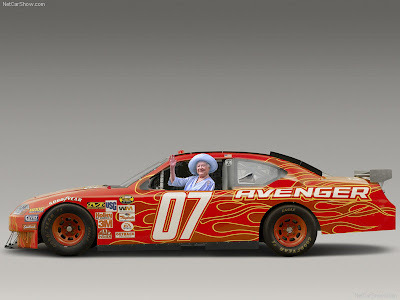 Although the Queen Mother died in 2002, the following photographs have just recently surfaced. * These surprising photos appear to reveal some glimpses into the secret life of the Queen Mother that no one would have suspected. For example, who knew that the Queen Mother moonlighted at a pizza shop? Or that she was a NASCAR driver? Apparently, she also worked at a health spa in her spare time. Here she is giving a scalp massage to Cary. From the look on her face, she is enjoying it as much as he is. With so many responsibilities, the Queen Mother needed to do something every once in a while to blow off steam. One way she liked to relax was to go hunting for songbirds. 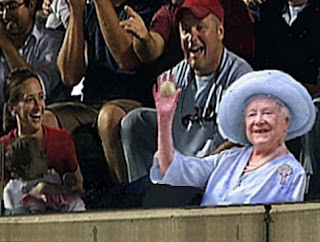 Surprisingly, the Queen Mother was a big fan of baseball. She even caught a foul ball once at a game. 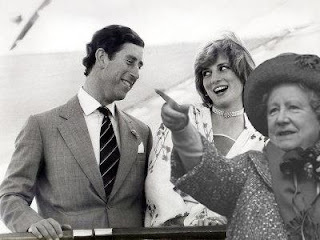 I have heard rumors that the Queen Mother was a prankster and that her favorite joke was to say, "Hey, pull my finger!" while posing for family portraits with the Royals. I didn't believe it until I saw this picture. Although the Queen Mother was obviously a very busy woman, she knew how to kick back and have a little fun too. Here we see her listening to some folk music and watching two rednecks having a dance-off. 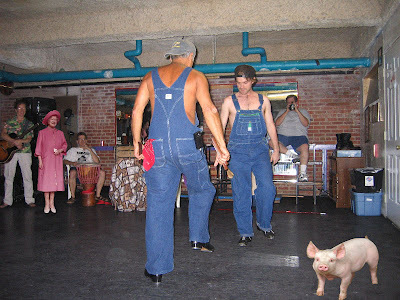 First prize is that pig on the right. Later, the party moved to the hot tub. 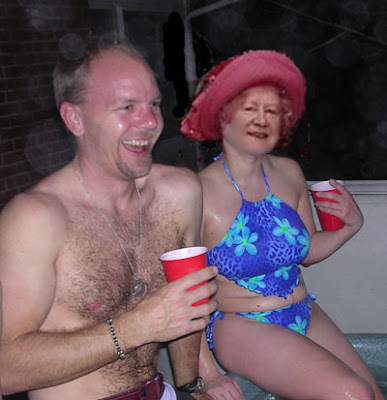 In this photo the Queen Mother is enjoying the company of an unidentified man...hey, wait a minute...is that Frank? !